Let us welcome you to the truly unique environment of Lake Las Vegas. Nowhere else in the Western United States will you find the amenities located right here just a few minutes from the bright lights of the Strip. You can cruise on our pristine lake, dine in our elegant restaurants, stroll the cobblestone streets of our village, be pampered in our soothing spas or play a championship golf course. Our marina has a boat ready for you to enjoy time on our lake, taking in the beautiful scenery or casting your hook in the water. Our variety of fine restaurants gives you a choice of meals to please any palate. While here, check out the exclusive shops and boutiques for that one-of-a-kind gift and our unusual merchandise from around the world. After experiencing the fresh air of the lake and the village or after playing a round of golf, relax and be pampered in one of our world class spas. 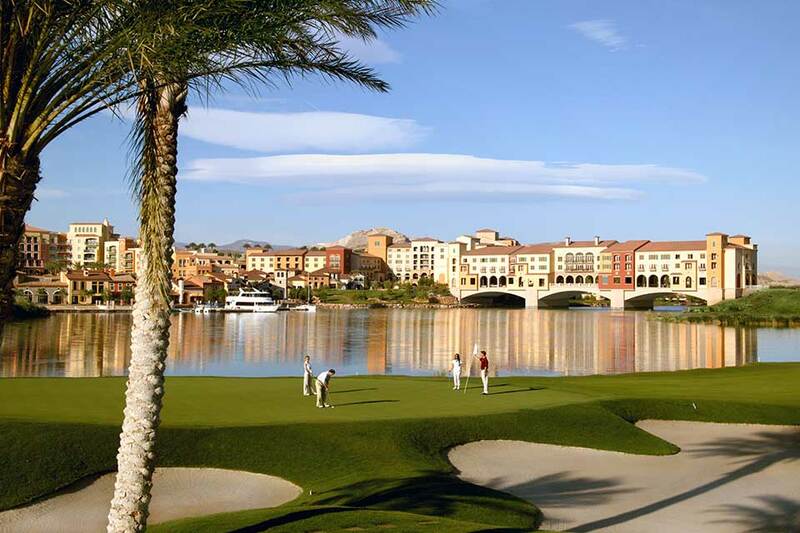 Whether you are a resident or a visitor, you will enjoy an environment unlike any other Southern Nevada has to offer.